The Blog Garden is back and I am here to talk about bulbs. I cannot believe how many I have planted for this season – the palms of my hands are testimony to the bulb planter v. clay soil scenario. I finally got some long-handled bulb planters – and people, it is the way to go! No sore hands, no sore backs and the ground yields to the pressure of my quite significant body weight! Hurrah! It is an art, of course, knowing how to plant and what to expect from your bulbs. And I have been learning that from my plantings both indoors and out. The crescent garden is full of mixed narcissi, winter aconites, fritillaria, crocus, ornithogalum and of course the lovely galanthus. The thing about snowdrops however, is that the bulbs are a little unreliable and usually quite expensive. I am pleased to see that quite a few of our have come up – but I shall be out there in the coming weeks supplementing them with galanthus ‘in the green’ which have a much better guarantee of success. The aconites have popped up beautifully and are flowering away very happily. They are little golden dots of colour in the depths of a woody area. Everywhere else, strong green shoots are appearing promising a wonderful spring show of colour. 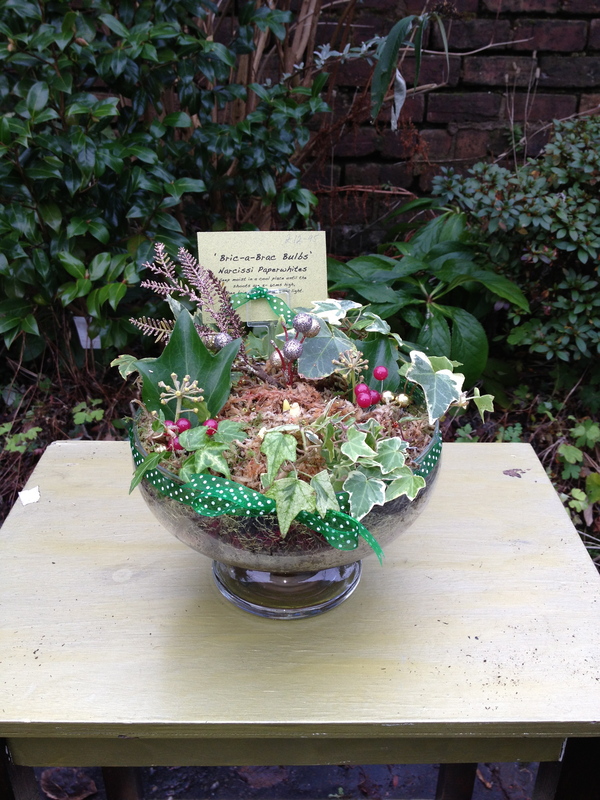 Pre-Christmas I planted a series of quirky pots of bulbs for a pop-up gallery in Glasgow. These proved to be very successful. As it was last minute, I went for hyacinth and narcissi paperwhites. How well- behaved those hyacinth are! And how beautiful and extrovert the paperwhites are! Once in their planter and taken indoors they romped up to impressive heights and then burst into fragrant blooms which lasted at least a couple of weeks. The hyacinth are more conservative. After consigning them to the dark cold depths of the shed for as long as I could, I lined the bottom of all the pots with grit and added a little to the bulb compost too. The bulbs went in once their green shoots were 3-6cm above the soil and with just a bit of watering ( not a lot) and some warmth and light, they happily started to take off. So there is much more to planting bulbs than you might think, of course. There’s the bulbs themselves – are they healthy? 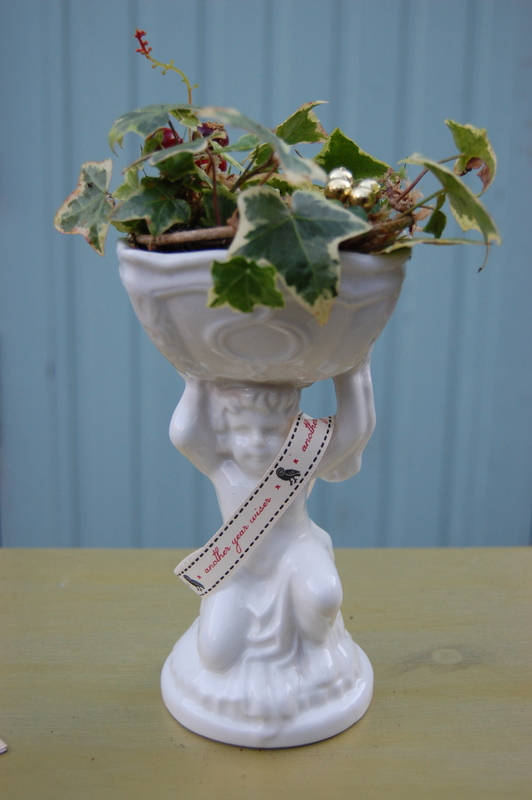 Have you bought them at the right time and are you storing them well, in a cool dark, dry place? Then there is the planting medium. Bulbs generally don’t need lots of nutrients in the soil, in fact, you may have seen hyacinth growing in jars with their roots in the water – they are more than happy. And what roots! Bulb compost therefore tends to have high peat or coir content and has interesting things like charcoal to keep it fresh, plus ground shell for calcium and lots of grit for drainage. You can make it yourself – but hey, you can also buy it! I have learned a lot this year: plant your galanthus in the green; plant your tulips deep if you want them to naturalise; also plant them deep to keep them safe from squirrels and foxes; get lots of people to help you when you have sackfuls to plant; remember when planting containers to check the ultimate height of your flowers against the size of the pot and plan your bulb-planting regime well in advance. Yes – get them in August! But the best thing I have learned is that it is really rewarding and spring bulbs, in all their forms, are loved by everyone.